The best Gambia Pools are located mainly in big cities, but it's also easy to discover public pools in rural areas. Thanks to some new pools submitted by swimmers like you, Swimia.com is increasing in the day-to-day number of stored pools. Please do not hesitate to contact us if you ever come across any Gambia Swimming Pool with inaccurate or incomplete information. 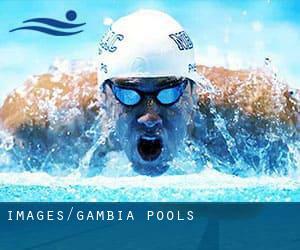 Please contact the sports centre in Gambia to check which activities are being offered and their timetables, considering that Gambia Pools may possibly have distinct rules and fares than other places. Swimming is a sport for all ages. It assists young people to tone their muscles and grow healthful and robust. For the elderly, there's no far better way to exercise than locating a Gambia Swimming Pool to escape from day-to-day routine. Do you know of any Pools in Spain that needs to be listed here? Contact us!. Are you a regular swimmer? Have you ever practiced Aquagym in Gambia? Let us know!. One with the advantages of outdoor swimming in Gambia may be the possibility to sunbathe throughout the summer season. Taking it with extra care, sunbathing is healthful since introduces Vitamin D into the body, so the best option seems to be switching among indoor and outdoor pools depending on the season. Swimming is a excellent thought to keep your body active in the course of your visit to Farafenni (Gambia), or even if you are a local. Swimia helps you to find your closest Swimming Pool in Farafenni. Let us tell you a secret to switch off although you are in Bakau: just choose a Swimming Pool in Bakau and plunge into the water! There's no more powerful strategy. Whereas Brikama is one of the six most populous cities in Gambia with nearly 77.700 residents, you shouldn't miss that one if you're going to Gambia. It's hard to visit Gambia without dropping by Banjul (with 34.589 residents). At present Swimia is showing you all the Swimming Pool in Banjul and also the closest pools located in its vicinity. No street address , Fajara , THE GAMBIA. This sports centre gives ~16 meters, 3.5 lanes, Outdoors. For this Swimming Pool, only phone number is number here.